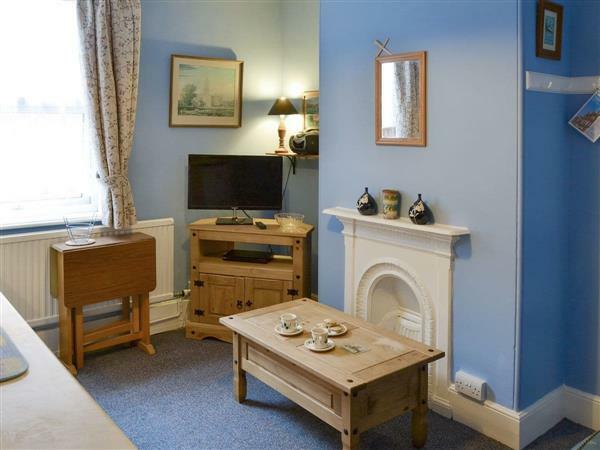 Salhouse at Beverley House in Cromer, Norfolk sleeps 2 people. Beverley House in Cromer is located in this popular seaside resort; within walking distance of the beach, pier and town centre with its shops, pubs and restaurants. This large Victorian mid-terrace town house has been divided into five apartments that all retain period features. The upper floor apartments benefit from a birds eye view of the seaside resort. Each apartment is styled to offer a comfortable retreat to relax and unwind. Offering compact accommodation, they are perfect for those wishing to self-cater, or guests can benefit from the choice of takeaways and restaurants Cromer has to offer. The owners reside adjacent to the apartments should you require additional information. These properties (refs UKC2714, UKC2712 [Barton], UKC2713 [Wroxham], UKC2715 [Ranworth], UKC2716 [Hickling]) can be booked together to sleep up to 13 people. Salhouse is all on the first floor. Bedroom: With zip and link twin beds (can be super king-size bed on request). Gas central heating, electricity, bed linen and Wi-Fi included. Welcome pack. On road parking. No smoking. Holidays at Salhouse, Beverley House run from Saturday to Saturday. Pets allowed at Beverley House - Salhouse. For a better idea of where Beverley House - Salhouse is, you can see Beverley House - Salhouse on the map below. Beverley House - Salhouse is in Norfolk; should you be on the lookout for a special offer, you can find all the special offers in Norfolk. It's always worth checking to see what is on offer at the moment. Do you want to holiday near Beverley House - Salhouse (UKC2714), you can see other cottages within 25 miles of Beverley House - Salhouse; have a look to find your perfect holiday location.